Sojitz is plotting the restart of the Gregory Crinum coking coal mine in Queensland after completing a $100 million acquisition of the site from BHP Mitsubishi Alliance (BMA). The New South Wales Land and Environment Court has rejected an appeal from miner Gloucester Resources regarding the refusal of its development application for the Rocky Hill coking coal mine. Coal producer Yancoal will ramp up exploratory work at its tier one assets to meet rising consumer demand following record production in 2018. 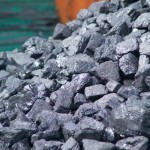 Black coal mining has been predicted by IBISWorld to be one of the Australian industries that will experience a decline in revenues this year as market conditions turn. Thiess has secured a $150 million contract extension at BHP Billiton Mitsubishi Alliance’s (BMA) Caval Ridge coal mine in the Bowen Basin, Queensland. Fitzroy Australia Resources plans to fill half of the jobs it is creating at the Ironbark No. 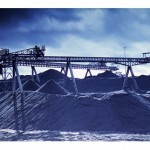 1 coal project in Queensland with workers who are new to the industry. Fitzroy Australia Resources’ Ironbark No. 1 coking coal mine has received approval from the Queensland State Government in a move that will deliver 350 local jobs to the project. South32 has increased production at its Illawarra metallurgical coal operation by 39 per cent following longwall moves at the Appin and Dendrobium collieries. 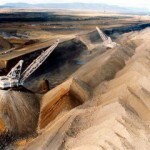 Is coal mining a bad risk? Pressure is building on the insurance industry to step away from the coal industry, potentially making some operations unviable. Coronado Global Resources, the largest coking coal producer in the US, has announced an IPO expected to raise between $1.16–$1.39 billion in one of the biggest Australian mining floats since Yancoal’s listing as Yancoal Australia in 2012. Pembroke has achieved a major step toward developing its $1 billion Olive Downs coking coal project in the Bowen Basin in Queensland with the release of its environmental impact statement (EIS) for public comment.